← What Made Easter 2011 A Great Day? Don’t Buy That New Car Until You Move To Tax Free Lone Tree! No More Taxes in Lone Tree!! 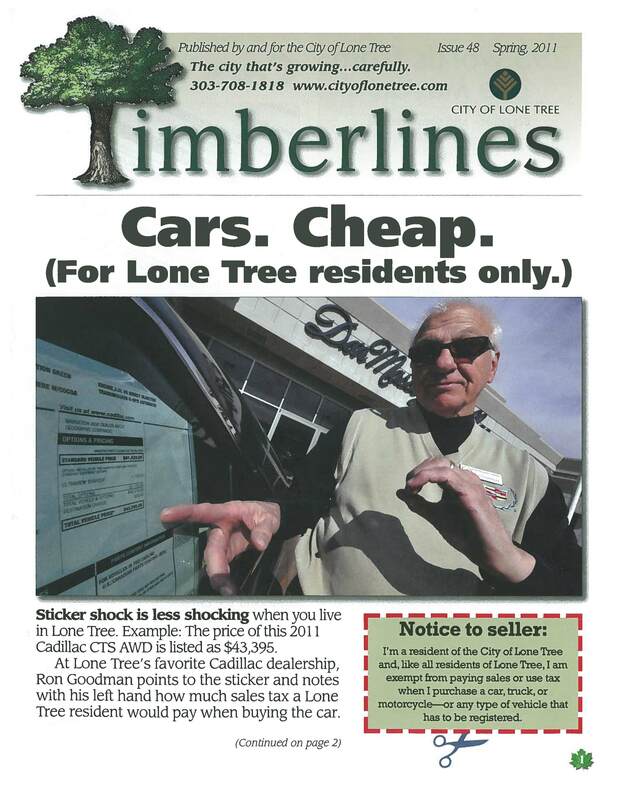 Did you know that Lone Tree charges no City Sales Tax on the purchase of a new Car, Truck or Motorcycle? It’s true! If you are a resident of Lone Tree, you pay no City Sales Tax on the purchase of a Car, Truck or Motorcycle. With all that being said, it is important to take a look at 8277 Lodgepole Trail Lone Tree, Colorado 80124 before you buy that next new vehicle. Read the Lone Tree article below about sales taxes, and what the the Mayor has to say about the new IKEA Store opening later this year in Centennial, Colorado right new door to Lone Tree, Colorado on the other side of Park Meadows Mall. This entry was posted in Denver Foreclosure Properties, Denver Housing, Denver Real Estate, Denver Realtor Production 2009, Denver Residential Real Estate, Denver Year End 2010 Market Watch, Lone Tree. Bookmark the permalink.